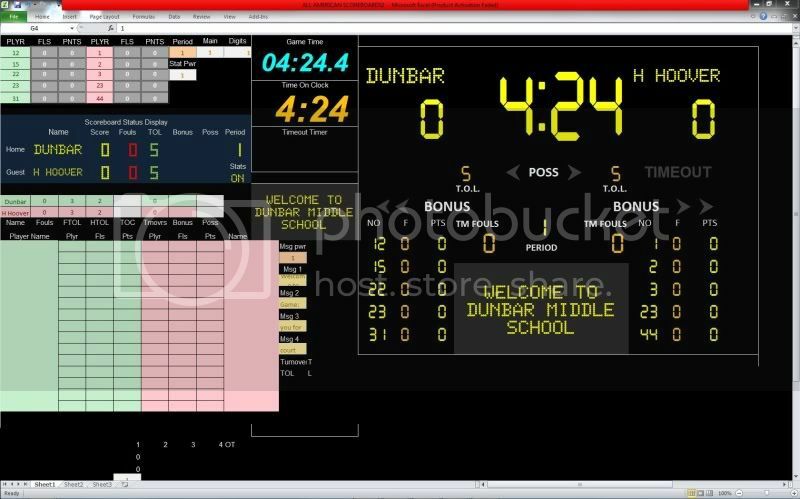 Hello, I am willing to do something similar to theese projects for icehockey matches. My basilar problem is that I can't get any message from the main switch (wich starts/stops the official board at the rink) to my laptop (USB ports). The output comes within an RJ12 cable. Once I got that I just have to let XNote write on an excel worksheet, than I have already prepeared all the macros I need to consider different events and penalities. The laptop is then hooked up to the PA system so that when the clock hits zero, the horn is sounded through the PA system for everyone to hear. 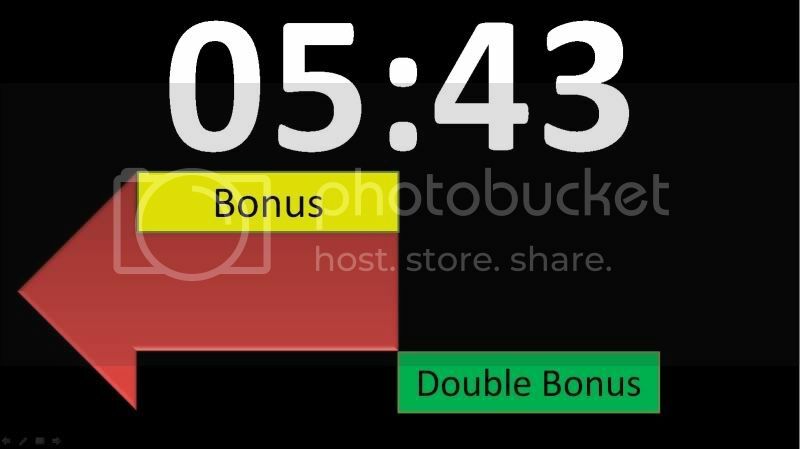 So you are displaying the timer in your Powerpoint or Excel? How do you get the live countdown into Powerpoint? I have not found any function in Xnote todo this. 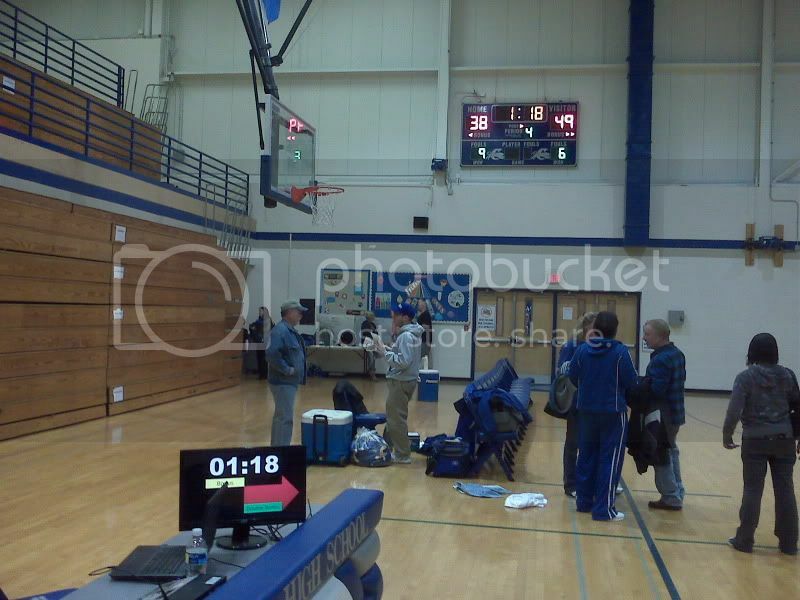 This is the full view of the scoreboard. This is the view on a white screen or white board show to the players and fans. 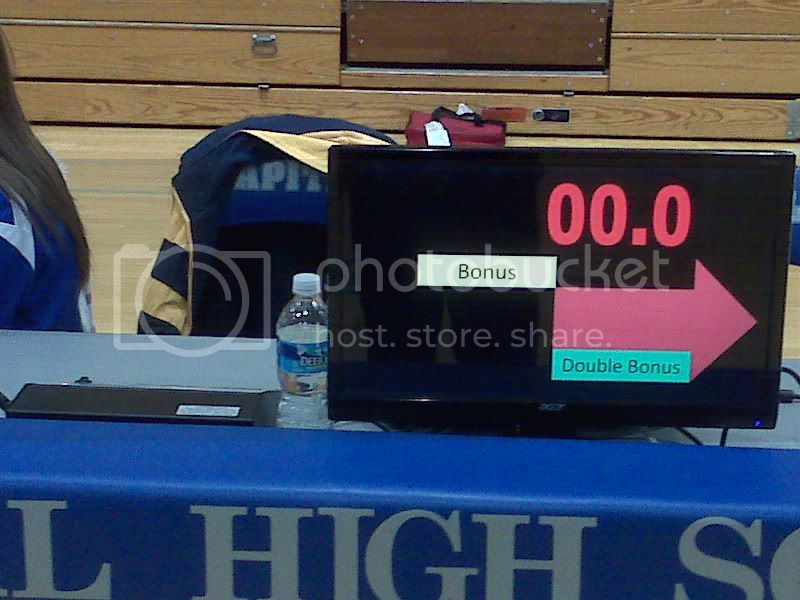 This is the control screen shown only on the laptop at the scorer's table. 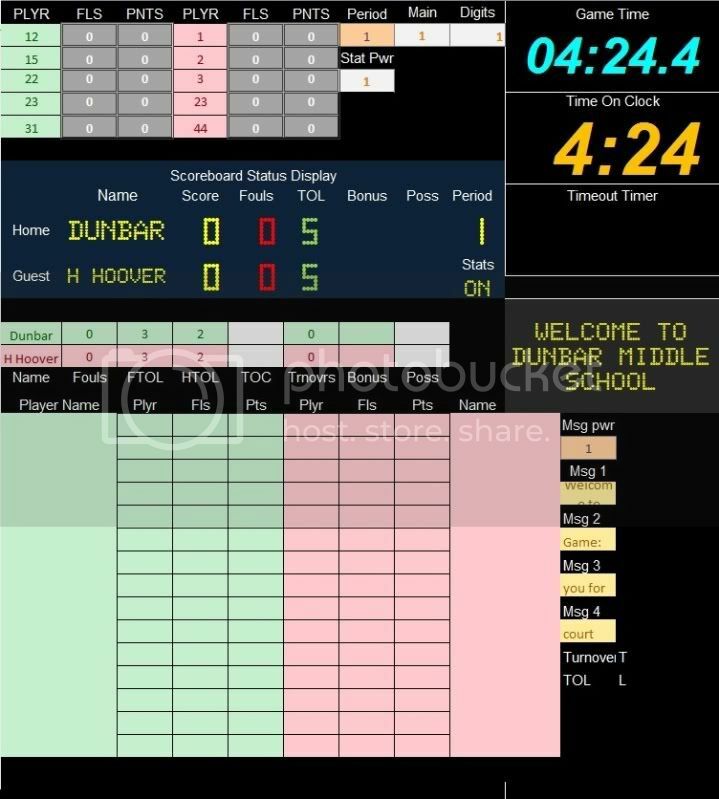 I have upgraded a few things with my system, and I have advanced my basketball integration to include scoreboards now. 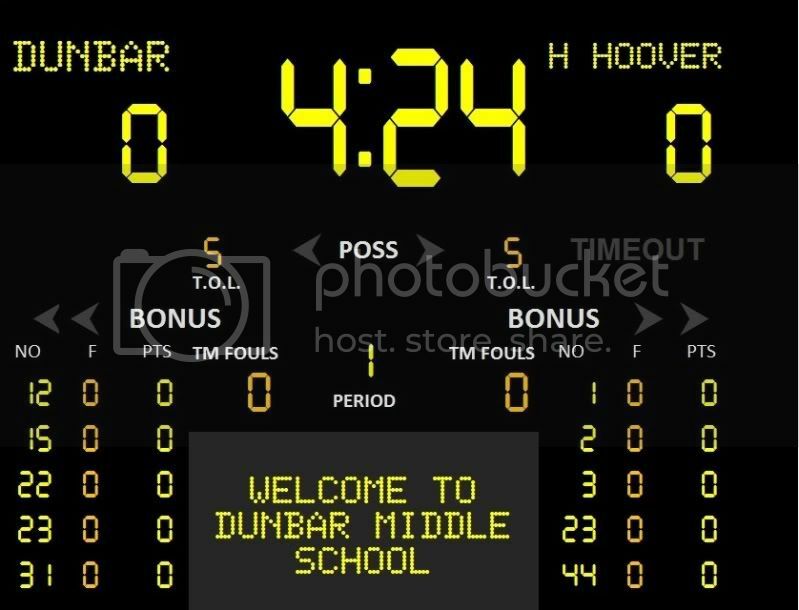 I have built a scoreboard for a youth league basketball team using fonts I have made for the digits and letters. The letters are a font that I made called Scoreboard Letters. It is loosely based on the Eggcrate font but I made some modifications to the Eggcrate font to make it look how I wanted it to. Screenshots will be posted after tonight's game! Here are a couple of pictures from the game tonight with the program in action. I took them after the game was over. Bryan wrote: Yes I did. Version 1.61 allows to display over any background transparently. Yes I did. I'll try and take some pictures of it in action tomorrow. Those are just screenshots from this version of it. Only thing I wished I had was the jumping clock feature that was mentioned several posts and maybe one or two years ago. It gets old switching it from minutes to 1/10 seconds manually. Bryan, good! Did you display with black background over black PowerPoint? Just like to let everyone know that I use this on a monitor that we use for our basketball game's possession arrow and it looks really nice! We've received many compliments on our state of the art technology that we use, when in actuality it's merely a powerpoint presentation that's shows up on an external monitor. I have yet to take any photos of it in action, but here are a couple screenshots of it.